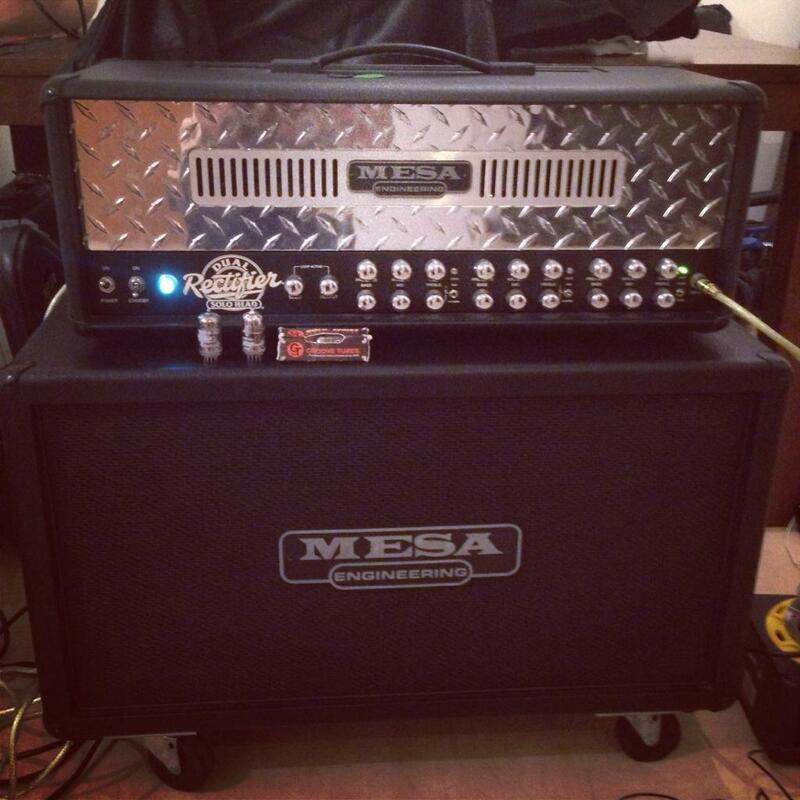 New thread for post your rig. Huge threads cause performance issue. 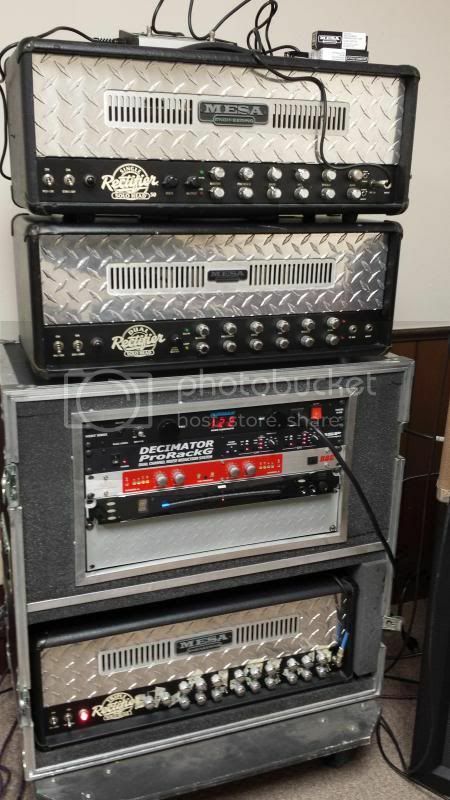 My Dual Rectifier with my Recto Tradition 4x12 and Recto 2x12. 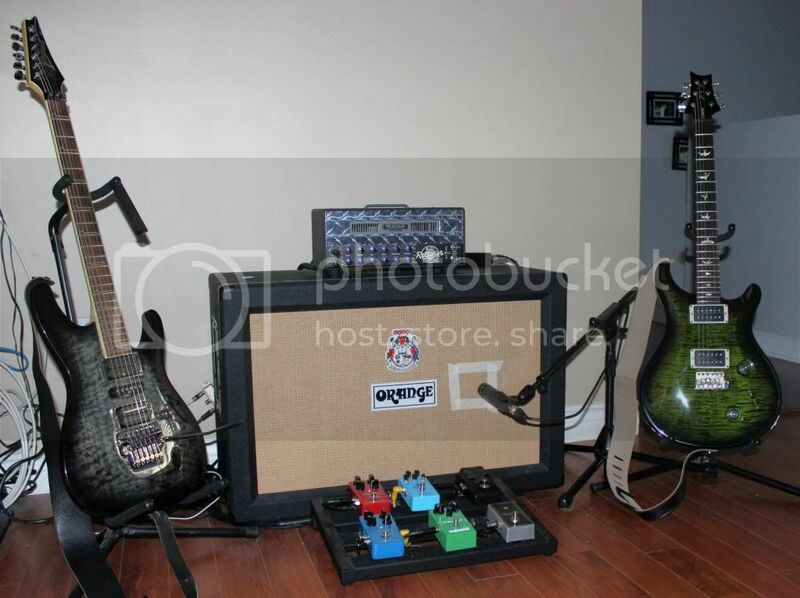 Just in time for some new additions to my rig. 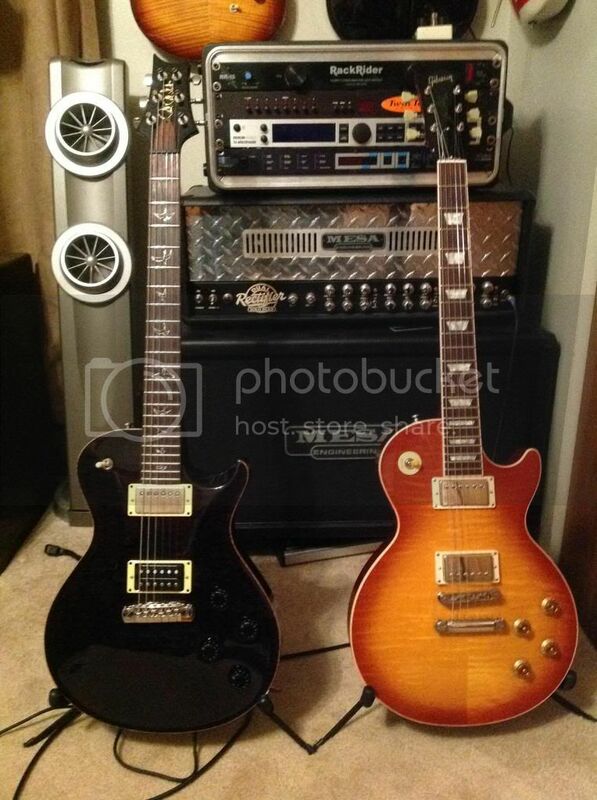 Enter the Marshall JVM410H and ESP Eclipse II!! Truth be told, I haven't paired them together yet, since I've been seriously digging the Eclipse through my Mesa MkIII!! 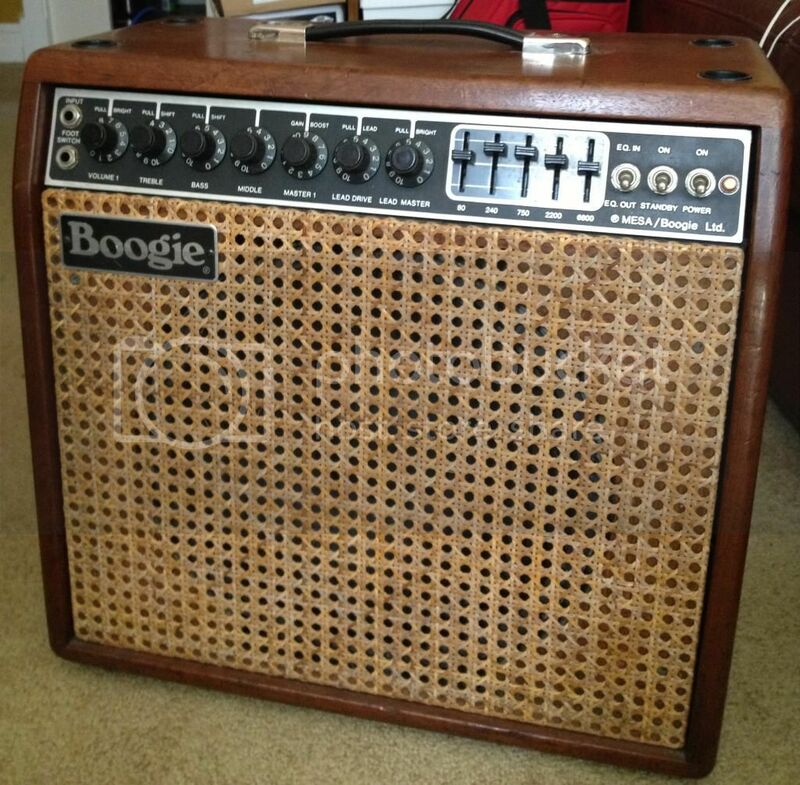 I suppose I'll eventually get some kind of proper Marshall cab for aesthetics. It's strange going back and forth from the Mesa to Marshall due to their sonic character being totally different, but I consider them both the creme of their crop and can appreciate each one for what it does. 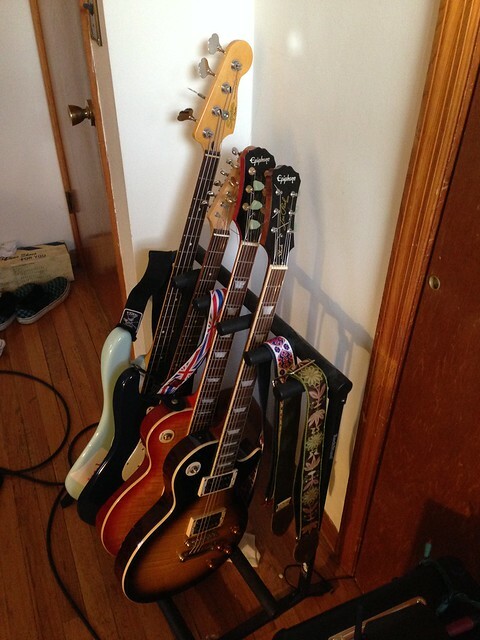 The same goes switching between a LP or a Strat or Tele. My "standard" sound is a Superstrat through the MkIII, but sometimes I need to hear something different...usually when I have a specific song idea in mind. 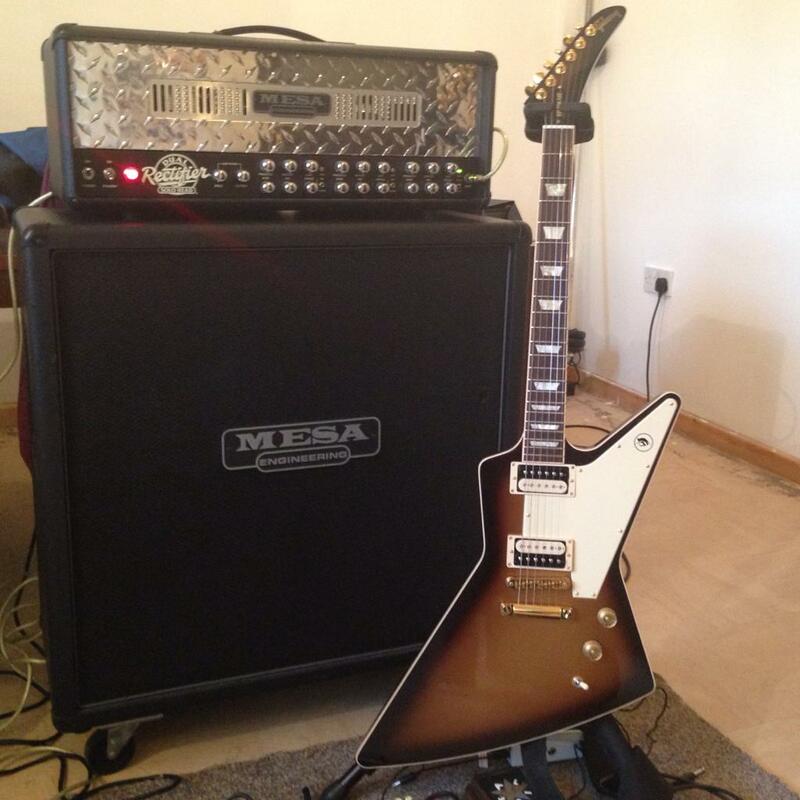 I like to use the Marshall when I'm covering something by or in the style of Jake E. Lee for example, or Kill Em All era Metallica or '80s Priest, although I can also get a slightly different but very nice take of the same with the MkIII after a few tweeks. I did it... I went wireless this year! 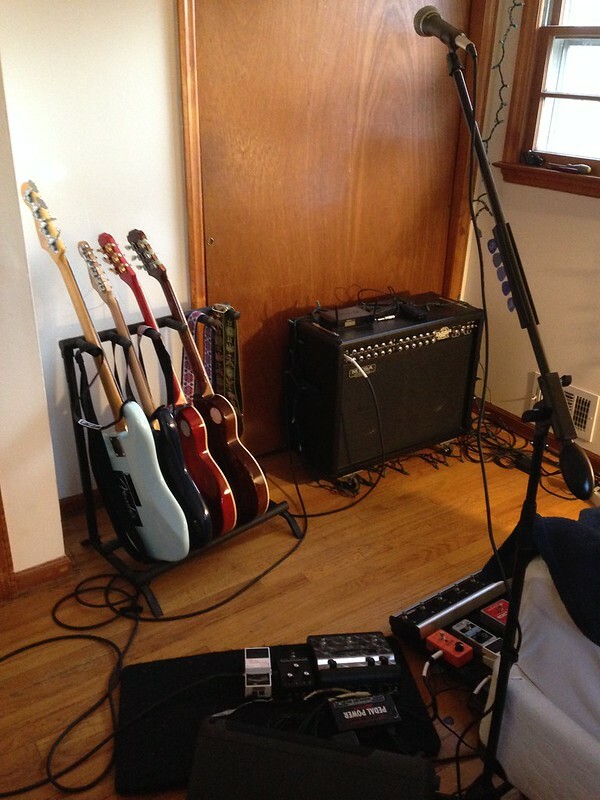 Running through the FX loops are the Flux Drive (also newly acquired), and the Tone Burst I got last year. I'm not going to kill you with photos, so yea. that's it for now. 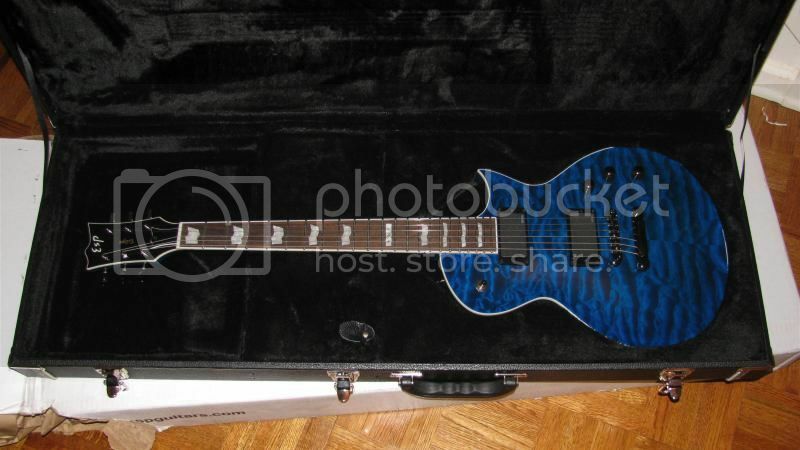 - Acquiring a PRS Hollowbody II - It's my dream axe, and I need a more reliable guitar. Gibson Robot's been in the shop for months! So, I hope everyone's had a great 2013, so let's make 2014 even better! Best of luck and wishes to everyone! Last edited by lespaulguy32 on Tue Jan 07, 2014 3:14 pm, edited 1 time in total. Last edited by Nitrobattery on Fri Mar 21, 2014 12:25 am, edited 1 time in total. Nice n' simple for me. 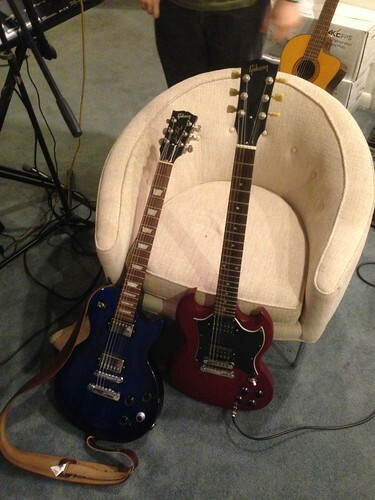 Lollar pups, wired '50s style are the key. Decked out in her road gear as she sits in our rehearsal space. Makes me feel so secure when she is wrapped up in all that wood and metal. 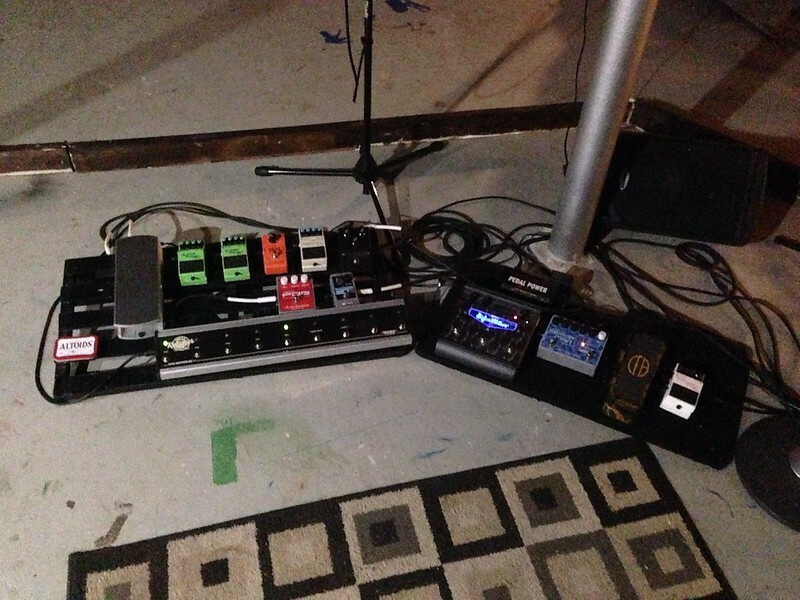 On the floor board is a relay G50 unit, boss compressor, MXR delay and ISP decimator. 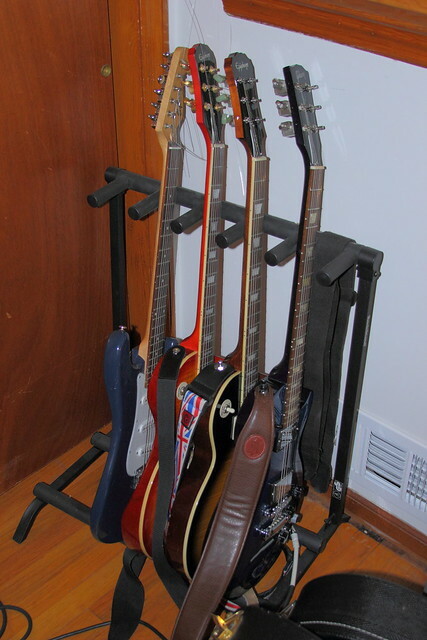 I have a ( from top to bottom) 1999 Single Recto, 1993 Dual Reco (Revision F) and a 2004 Triple Recto (in road case). 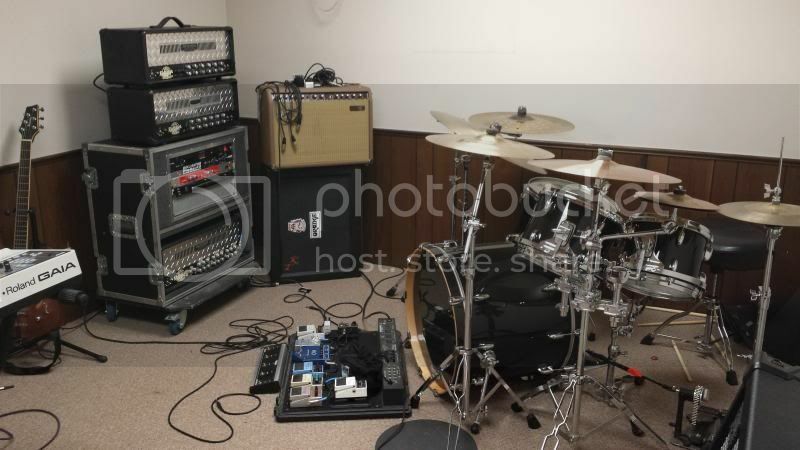 I am currently using the Triple in my progressive metal band (Vacant Mind) but I am planning to use the Rev F as my live amp for that band as soon as I get it up and running. 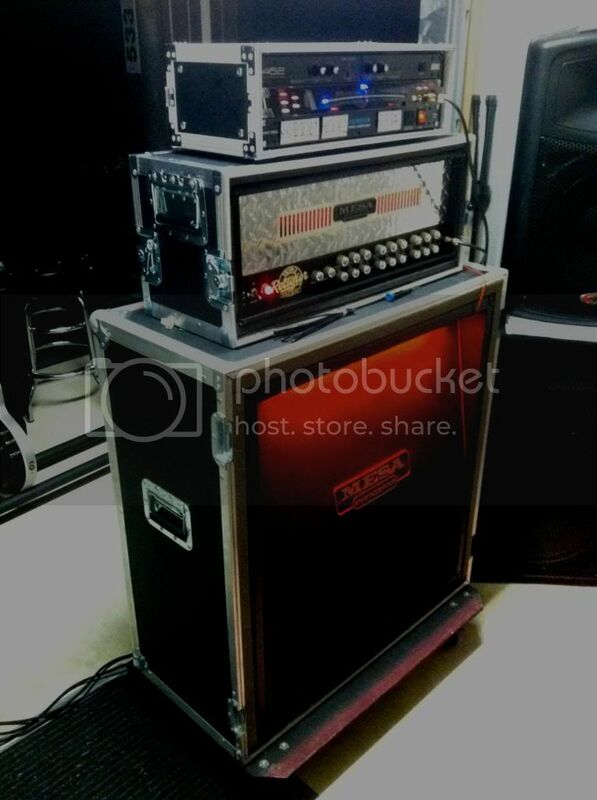 In my road case I am using Furman power conditioner and a ISP Pro Rack G Decimator. 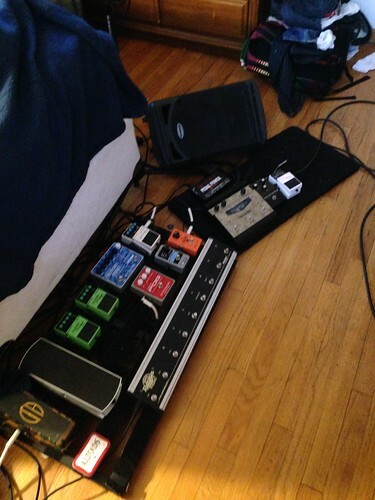 Pedal board: Boss Tuner, Boss Bass Synth, Boss Delay, Boss Bass Chorus, Visual Sounds H20, Mad Professor Reverb, Boss Tera Echo, Zvex Ooh Wah and Ditto Looper. Well, here it is... 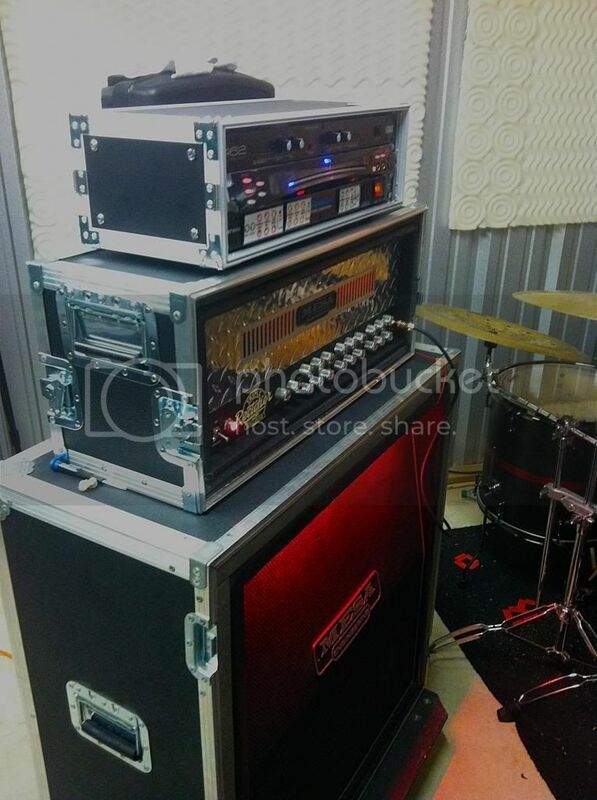 I've added a Tremoverb (such an amazing f%&# amp), plan to get a Whirlwind Selector as well as some rack stuff. 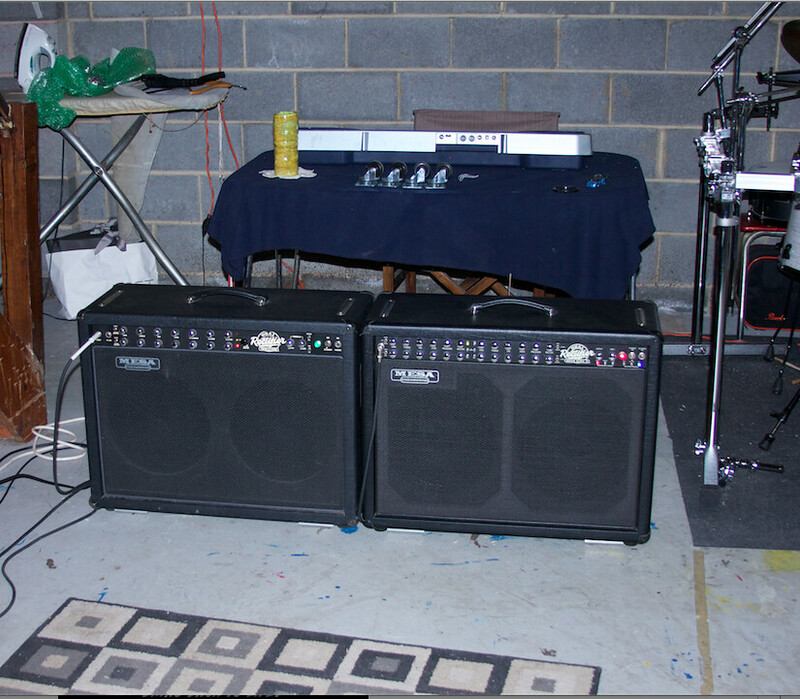 These amps both sound GREAT with both clean AND dirty, kind of don't know which to choose. I kind of feel like it would be a waste of a Road King to run JUST as clean, because I use both Channel 3 AND Channel 4. Though, the Red Channel on the Tremoverb sounds AMAZING. 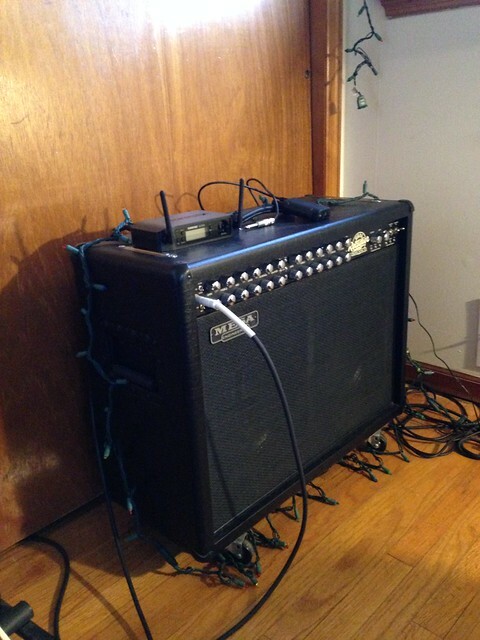 Just... ugh... great amps. 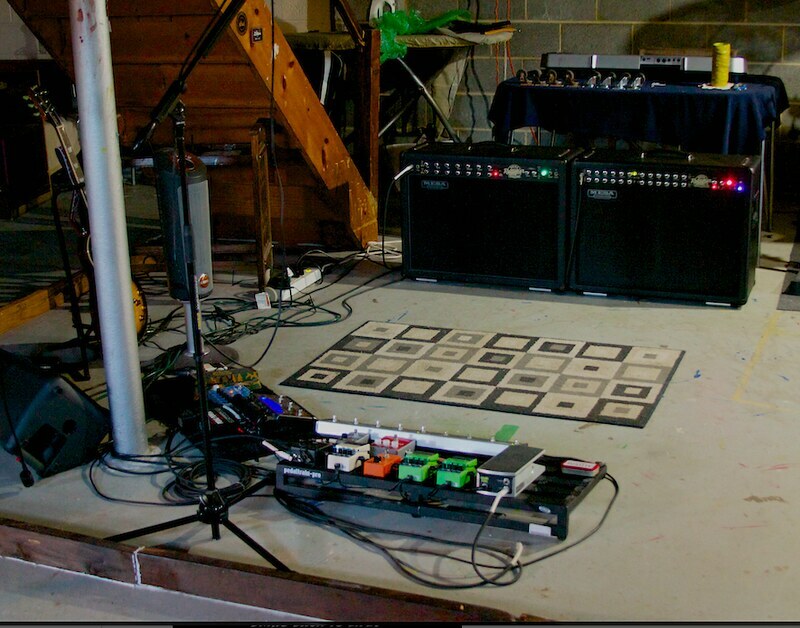 The pedalboard... and again, you know, as I said, I'll be adding a Whirlwind selector so I could A/B/Y the two amps. 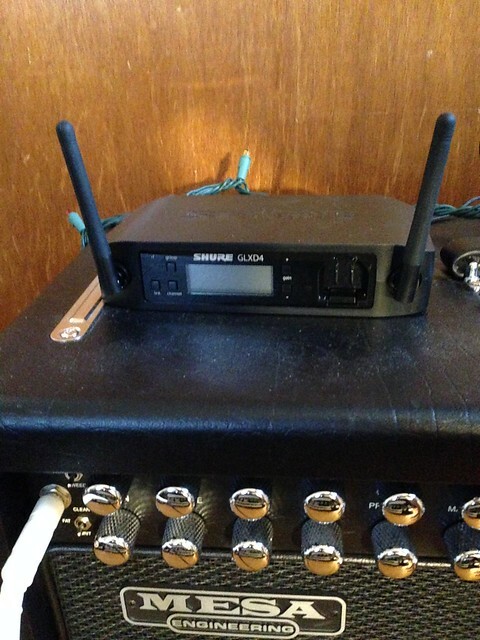 All of which goes to the Shure GLX-D Wireless. Last edited by lespaulguy32 on Sun Jul 20, 2014 3:05 pm, edited 2 times in total. How many rigs have you had, man?!? That's nuts! Enjoy it, man... so cool! Last edited by lespaulguy32 on Wed Jun 04, 2014 11:07 pm, edited 1 time in total.